Sitting on the world-famous Lake Michigan in the state of Illinois, Chicago is one of the biggest and most historic cities in the entire US. It has the third largest population of any US city and is well known for its diverse, lively culture and rich nightlife scene. Between music, sport, shows, food, and other activities, there's almost nothing you can't find in the Windy City. Some of the most unique activities locals and tourists alike can enjoy in Chicago include kayaking along the city’s waterways or roller skating around nearby rinks. Chicago is home to several roller skating rinks, with a few more being found just outside the city limits, so there are plenty of options for people who are looking to enjoy some roller skating action in this location. So the next time you want to do some roller skating in Chicago, check out one of these highly rated rinks. Located in Martin Luther King Jr. Park, this family-friendly roller skating location also doubles up as a bowling alley, offering two great activities in one awesome location. A video game arcade and cafe serving snacks and drinks help to make this center an even better place to spend a day. Rated as one of the best roller skating rinks in all of Chicago, this location can support up to 500 skaters and is decorated nicely with bright colors and flashy fluorescent lights. Fun music is always playing and open skate sessions are held for people of all ages all throughout the week. Summer skate camps and birthday parties can also be enjoyed at this roller skating rink, along with scout reunions, school outings, fundraisers, adults-only evenings, and anything else you can think of. Bringing all the fun and excitement of roller skating to the new generations, Fleetwood Roller Rink is a super place for parents to bring their kids or groups of friends to simply hang out together. This rink has been open for over six decades and is one of Chicago's most historic venues for roller skating and family activities, beloved by roller skating enthusiasts for many years and still popular to this day. The rink recently received a full renovation and is looking better than ever, with open sessions running several days a week and skating lessons being held for beginners, as well as intermediate and advanced skaters, every Saturday. Admission prices are very affordable at this Chicago skating rink and you can book the whole place out for all kinds of parties and activities. A highly rated roller skating rink in the heart of Illinois, the Markham Roller Rink runs open skating sessions for all ages and experience levels six days a week, with the final day reserved for private rentals like birthday parties, office outings, scout reunions, and more. Featuring a large, open, high quality roller skating rink with cool lighting effects and a welcoming atmosphere, the Markham Roller Rink has proven to be a popular gathering spot for locals and Chicago tourists alike. Anyone who simply wants to accompany their kids or friends but not actually get out on the rink can take a seat in the comfortable viewing areas provided, with disco dance rooms and special events also enjoyed at this Chicago roller skating location. 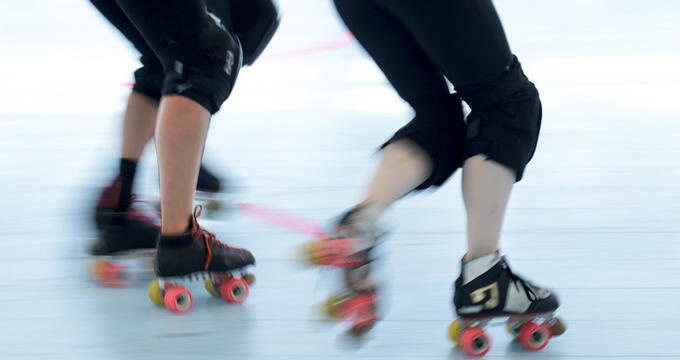 Regular skate parties featuring multiple DJs, free food, and exciting music are held at the Markham Roller Rink on a regular basis, and there's always something new and exciting going on at this location.